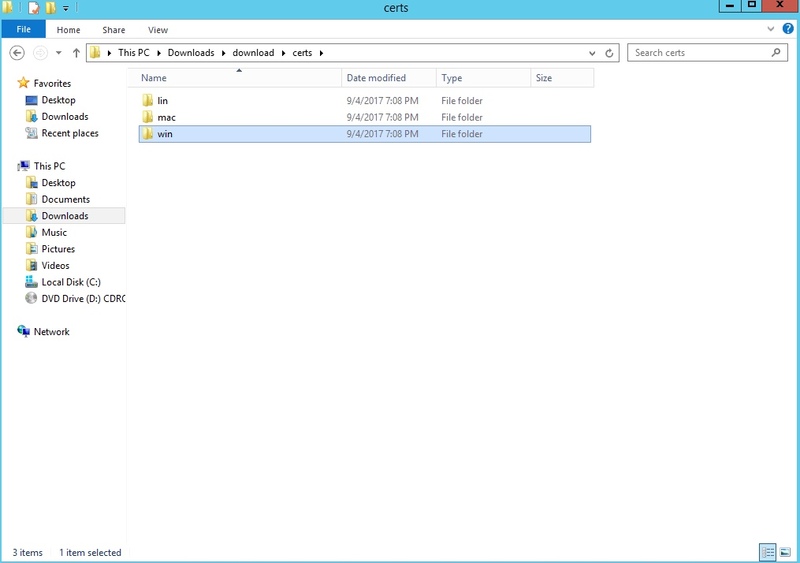 This post is applicable to customers using VMware vCenter Server 6.5.
vCenter Server deployed with Self-Signed Certificates. Try to deploy an OVA file and the deploy OVA task hangs at 0% and must be cancelled. Note that the browser marks the SSL URL as “Not Secure”. 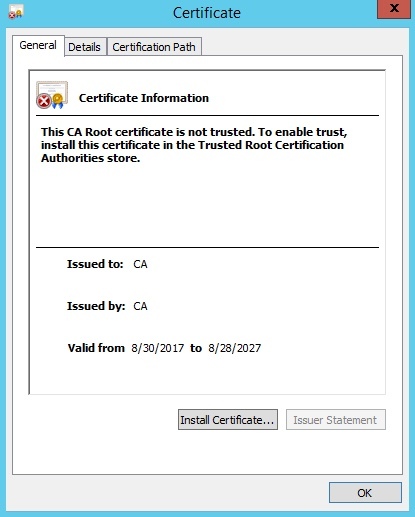 On the “Getting Started” page, select the “Download trusted root CA certificates” from the bottom right hand corner of the page. Decompress the downloaded ZIP file and browse to the OS folder applicable to your desktop. In this example it is Windows. Double click on the Security Certificate file. 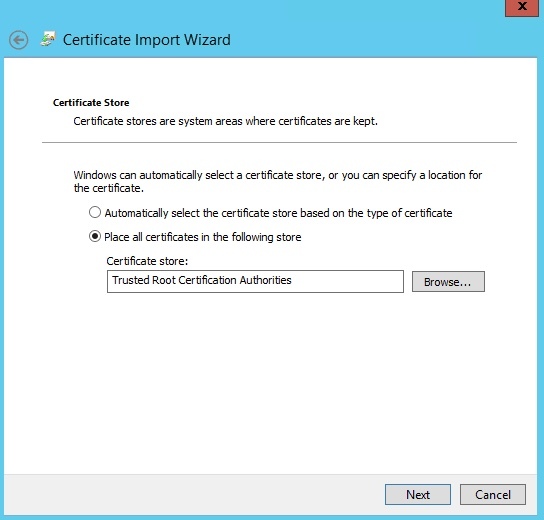 In the Certificate window that opens, select the “Install Certificate” button. 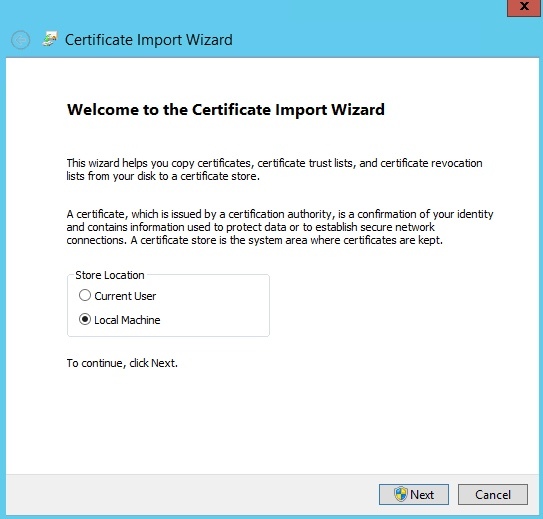 In the “Certificate Import Wizard”, select the “Local Machine” Store Location and press Next. 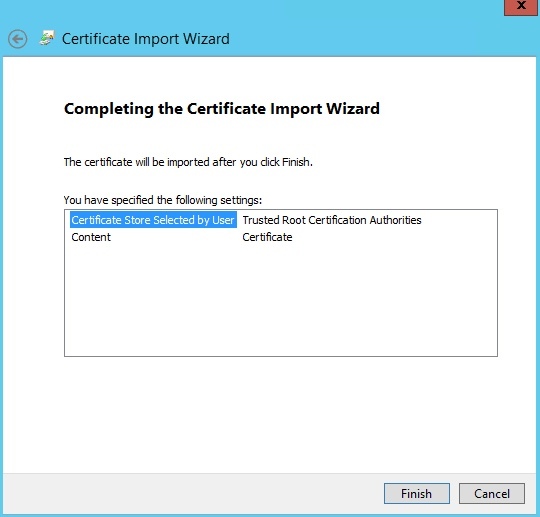 On the “Certificate Store” window of the “Certificate Import Wizard”, select “Place all certificates in the following store” and browse to “Trusted Root Certificate Authorities”, press Next and then press Finish to complete the import process. 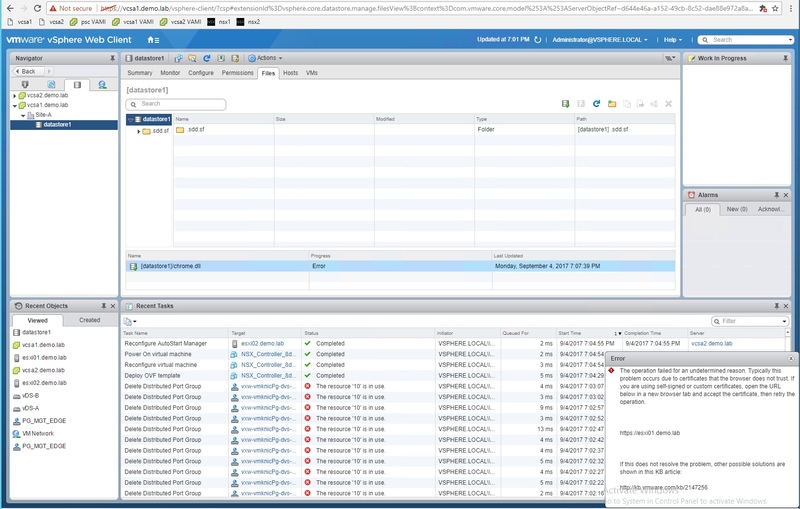 Restart the browser and enter the vSphere Web Client “Getting Started” URL. Verify that the browser marks the SSL URL as “Secure”. 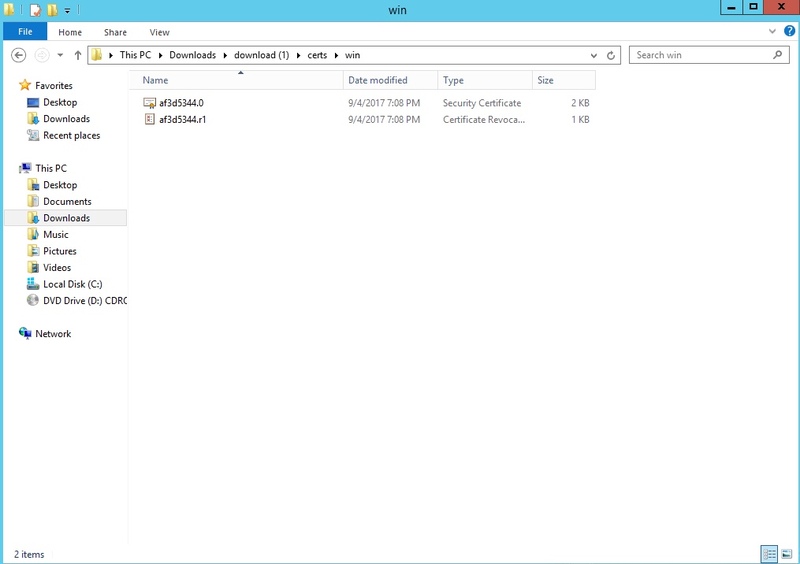 Uploading files to Datastores and deploying OVA files should now work. In previous versions of vSphere, it was enough to trust the vCenter Server certificate from your browser and the vSphere Web Client was fully functional. In vSphere 6.5, if the self-signed certificate of vCenter Server is not located in the “Trusted Root Certificate Authorities” of the Certificate Store, then the vSphere Web Client will not be trusted to share files with vCenter Server. Awesome post, thanks for your help. Great Post ! Just add that under Firefox 52.6.0 (64-bit) you must add Security cert under OPTIONS > ADVANCED > CERTIFICATION > VIEW CERTIFICATES > IMPORT . Thank you! I have been fighting with this for two days and this is the solution. Thanks a ton dude! VMware’s KB article was completely useless in helping me get around this.